'Etcetera' provides an opportunity for short takes on events and photo opportunities. The 1431st Sapper Company, Michigan National Guard, of Calumet and Baraga, arrived Tuesday morning, Nov. 24th, at the Houghton County Airport on a chartered Boeing 737. They were greeted by family, friends, Veterans, and a multitude of well wishers, coming home from a second combat deployment overseas, this time in Afghanistan. 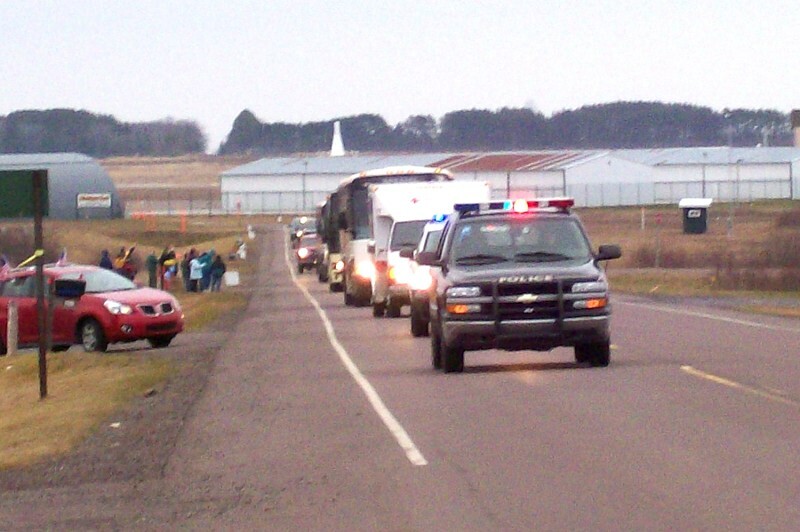 A huge welcome was held at the Calumet High School Gym on their arrival there. WELCOME HOME, WELL DONE!!! 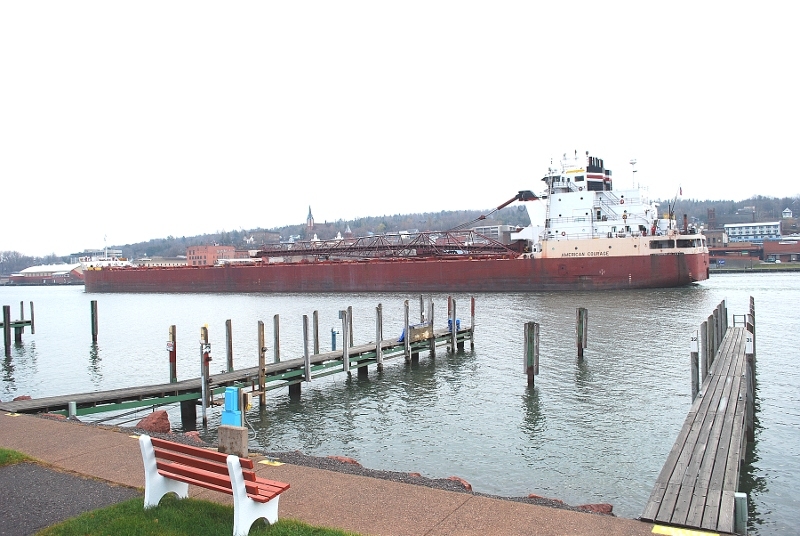 The ore carrier American Courage passed through the Keweenaw Waterway on Nov. 20th making it one of the few to pass through in recent years.Constructed in 1979 as the Fred R. White, Jr., she was acquired by American Steamship Co. in 2006, and renamed the American Courage. she is 636 ft. in length. October saw the final work for the Phase II renovations and updates to the Jutila Center for Global Design and Business(formerly Portage View Hospital), now owned and operated by Finlandia University. 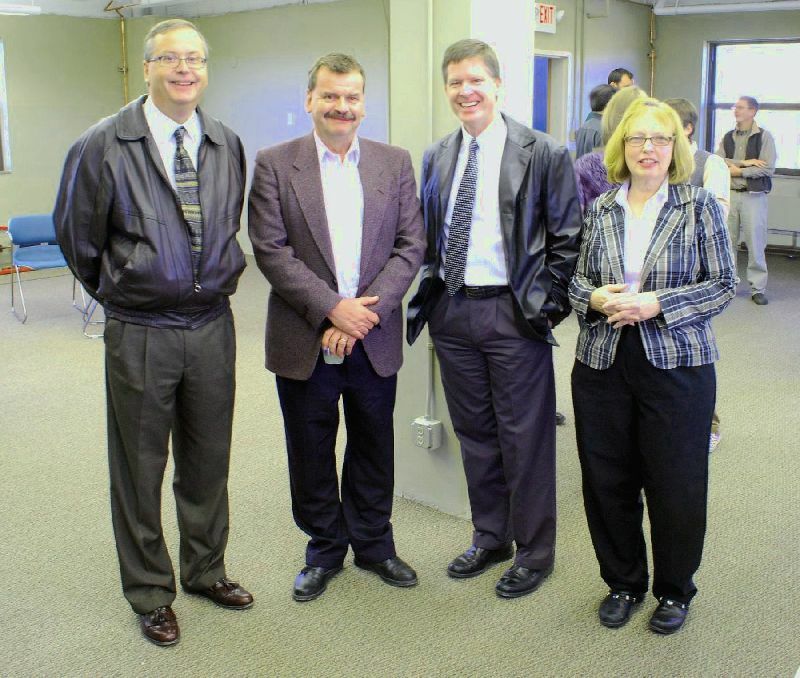 Here, (L) Glenn Anderson, Hancock City Manager; Mayor Bill Laitila; Finlandia President Dr. Phillip Johnson; and Jutila Center Director Bonnie Holland. Dr. Johnson addresses the group of contractors and interested parties. 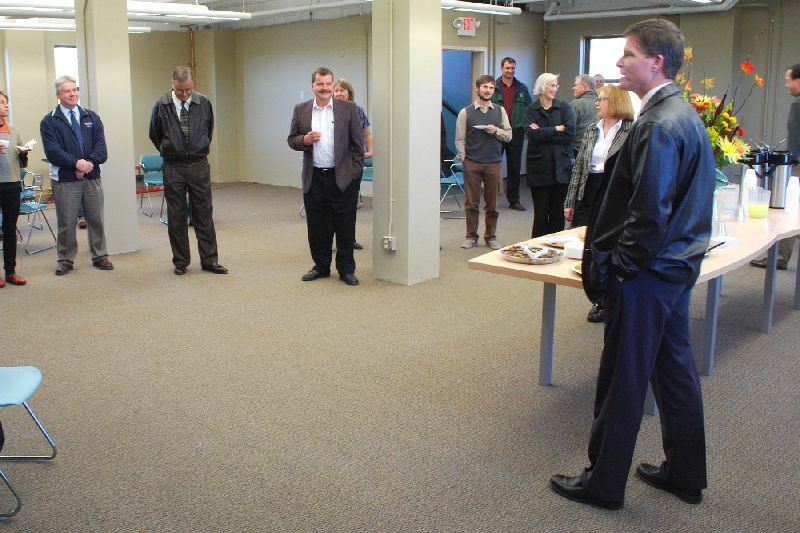 These renovations are a second round of nearly $5 million invested in the business incubator project by the Economic Development Authority, and the MTU Smart Zone Project. 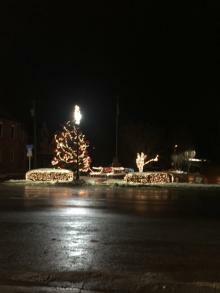 The Western U.P. Planning & Development Region, along with U.P. 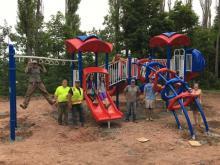 Engineers and Architects, were also involved. 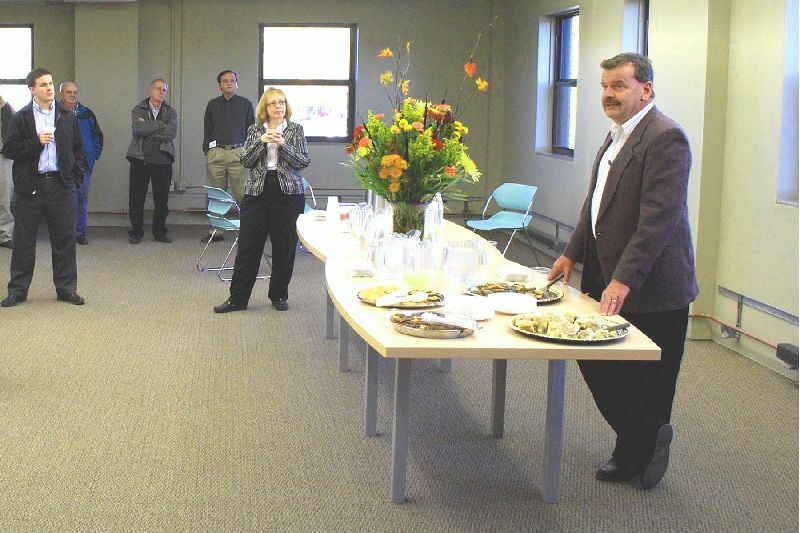 Hancock Mayor Bill Laitila explains how the Center helps the City and the local area, as it brings new small businesses in, and supports their startup operations. This phase developed floors six and seven, with floors eight and nine available for lease or rent. For more information, see email link below. 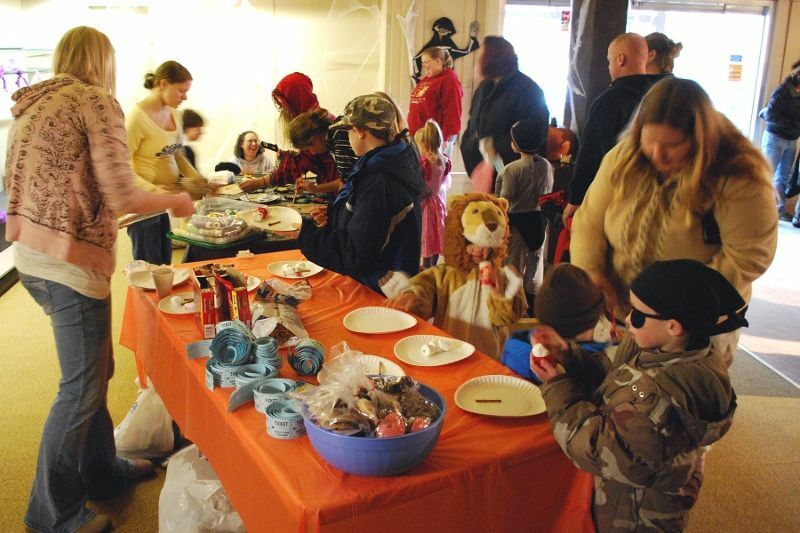 The Hancock Business and Professionals Association sponsored a Children’s Halloween Get Together and Party, along with an Arts and Crafts Show, in the Gartner Building downtown. Many of the kids opted for some face painting. 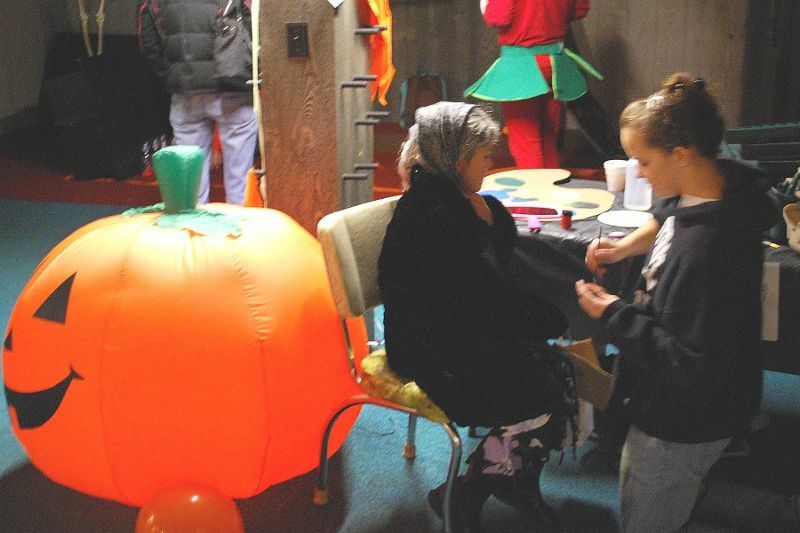 Others hit the ‘goodies’ tables, and watched or participated in many of the displays and games. 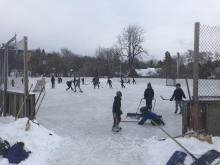 Great fun for all. 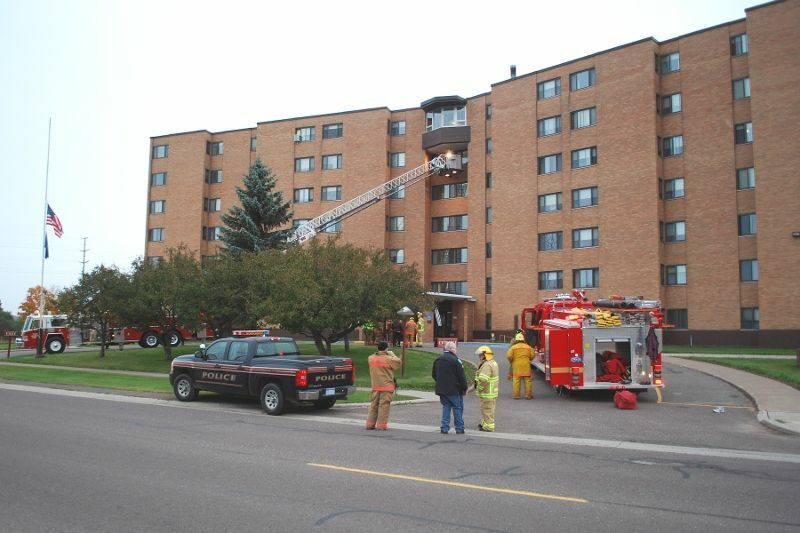 The Hancock Volunteer Fire Department (VFD) held a three department test in October, to check preparedness for emergencies at the Hancock Manor. 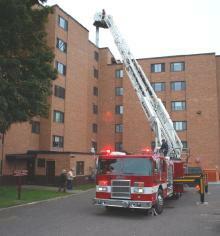 Here, the Houghton VFD aerial truck takes care of the South side of the building. 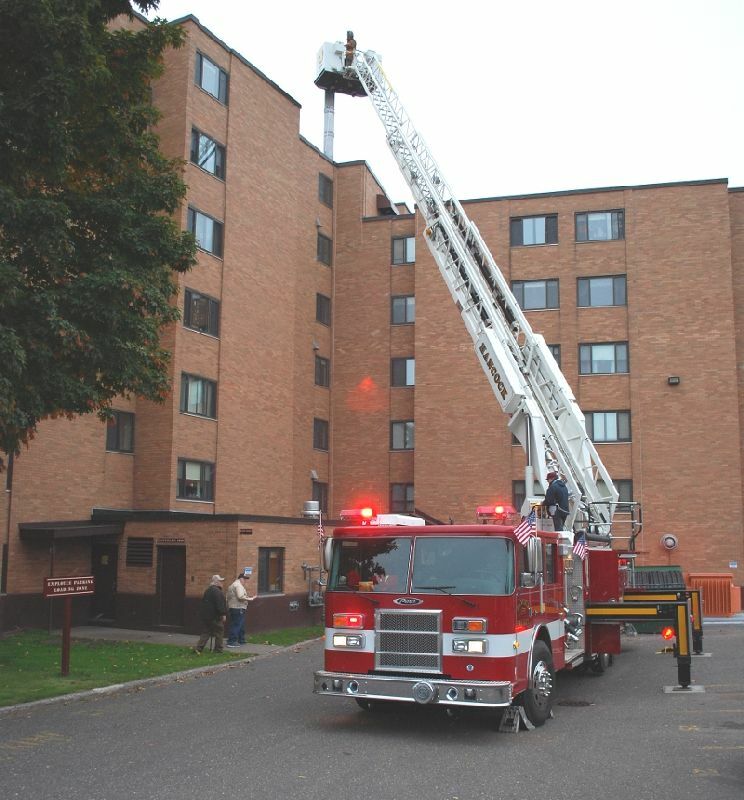 Meanwhile, the Hancock VFD aerial ladder truck works the rear of the Hancock Manor building. Evacuation drills were also a part of the test, which went well. 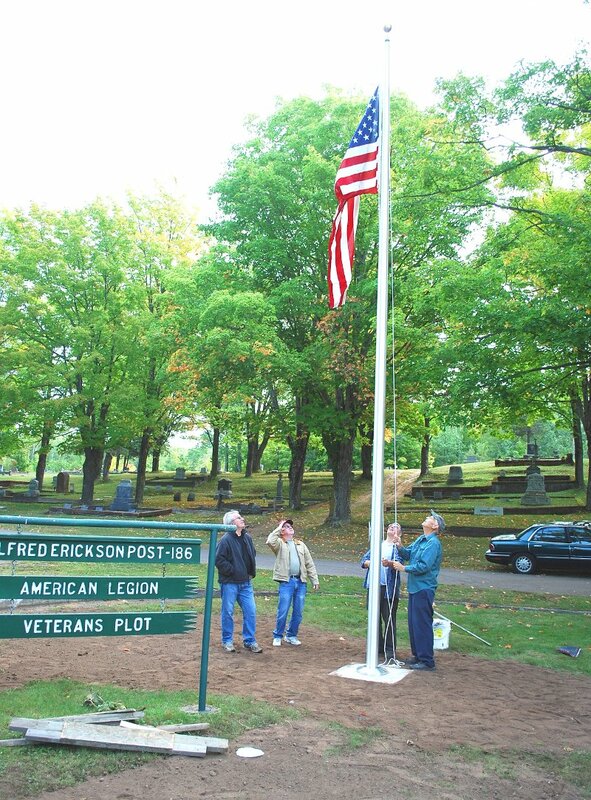 A new Flag Pole was erected at the Lakeside Cemetery this Fall, replacing a 60year old Flag Pole that fell to high winds in 2008. 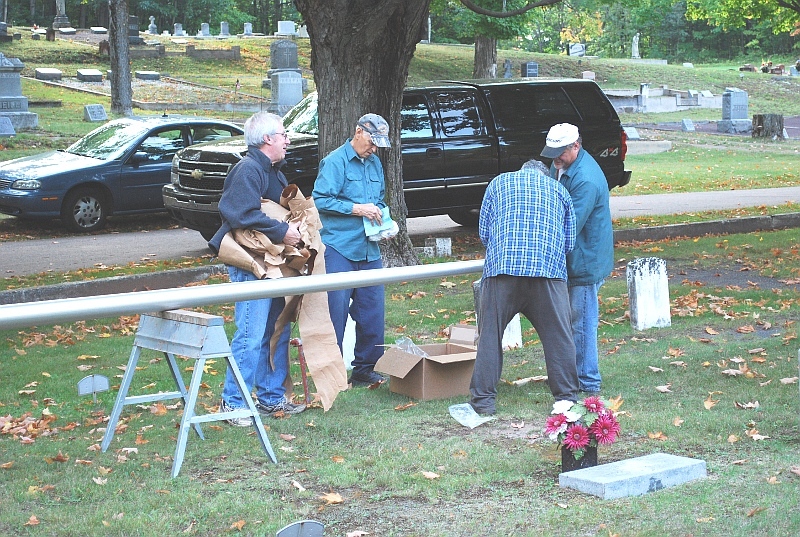 Post 186, American Legion, members work on the new pole. 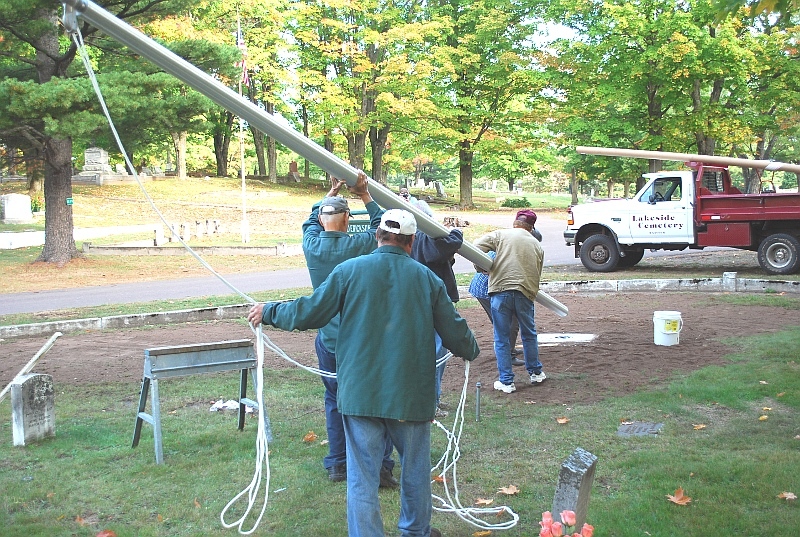 With preliminary work done, and a concrete pad now ready, Post members begin the lift to get the new 30 foot aluminum pole into place. 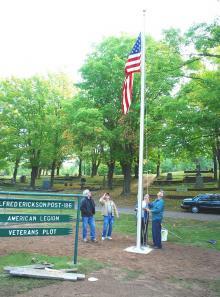 And with the addition of a new Flag, and a rope with hooks, the new pole is about ready. It will again stand watch over our deceased Honored Veterans, who served our Country in peace and war, and preserved our Liberties and Way of Life. The Quincy Mine Shaft Association acquired a Torch Lake & Quincy Railroad 1912 era steam locomotive and returned it to the Mine Hoist site this summer for future restoration. 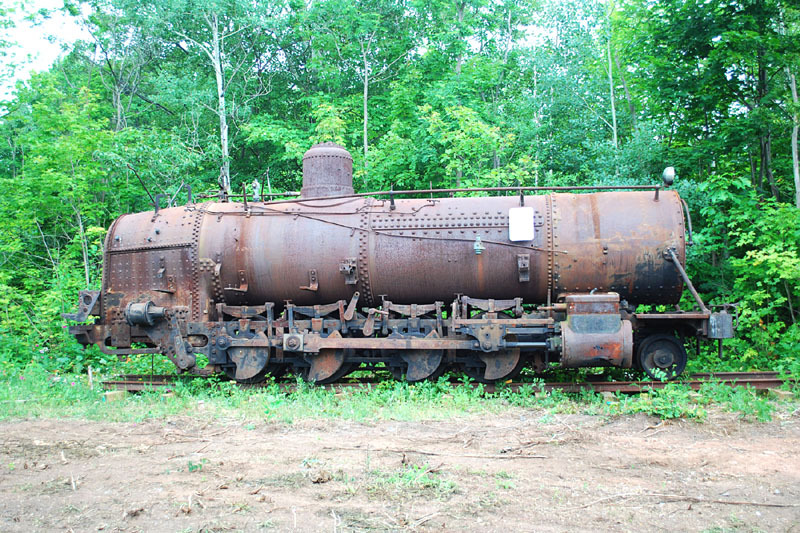 The locomotive was last used at the Quincy Mine in 1945, when mining operations ceased following the end of WW II. 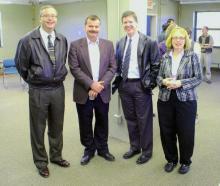 It was donated by Seymour Propp, last President of the Quincy Mining Company. 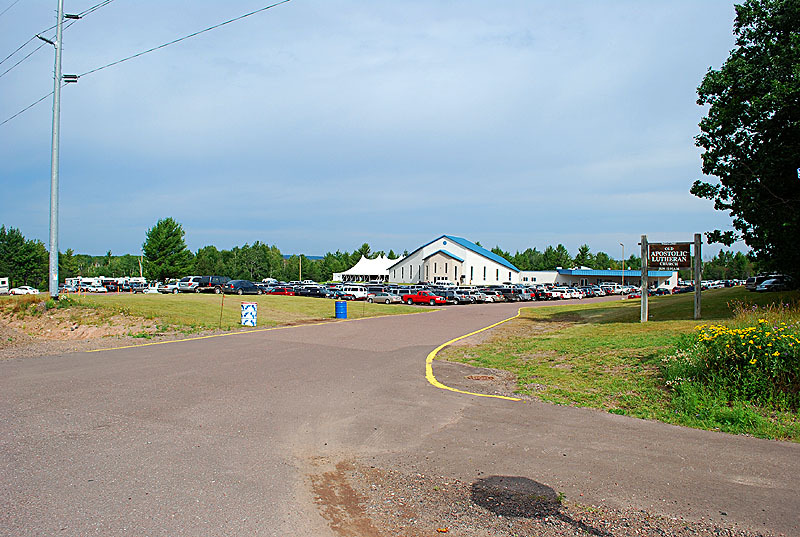 It originally was housed and maintained in this railroad roundhouse building on the site. 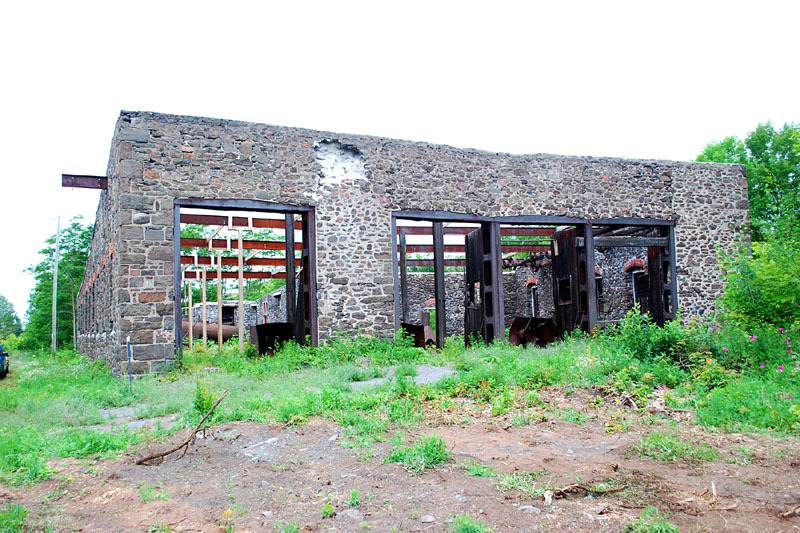 The roundhouse is slated for restoration efforts. The Hancock Zion Apostolic Lutherin Church in Hancock sponsored a huge Church Fellowship and get together in July, and brought a large group into the City and area for the celebration. Alfred Erickson, American Legion, Post 186, Hancock, Little League Baseball Team enjoyed a third consecutive winning season. Post Cmdr. Frank Taucher holds two winning trophys presented to the Post at a season end dinner fet for the team, coaches, and parents. 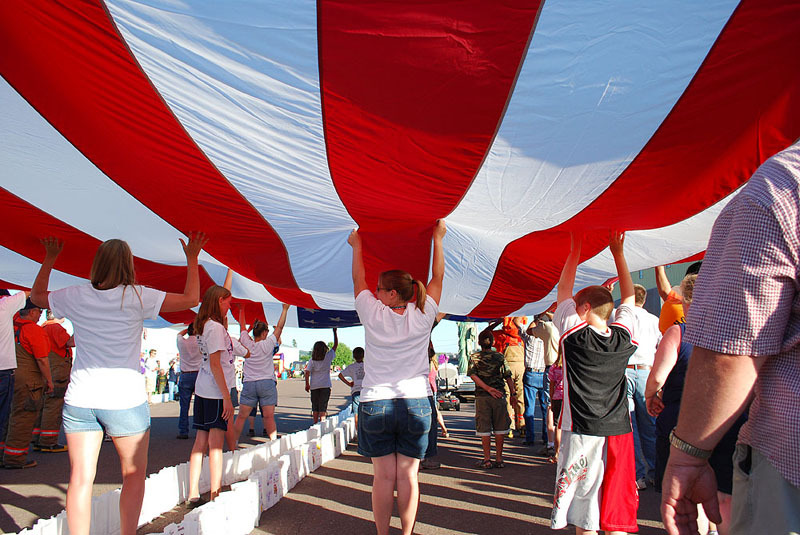 The Annual Cancer Relay For Life was held this summer at the Hancock Driving Park, here a giant American Flag is carried down the Walk For Life. 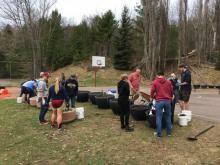 The Copper Country unit raised a very tidy sum to aid in finding a cure for cancer.